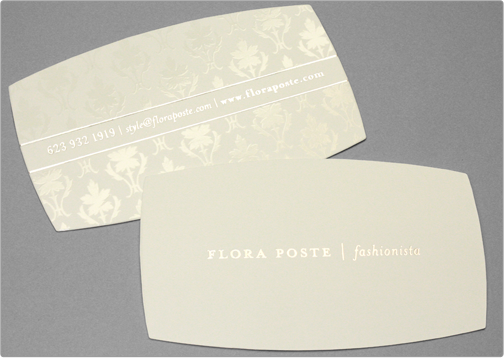 The Flora Poste Silk Business Card is unique in size, shape, and specialty options. The card contains two clean and precise silver foil stamps with a spot gloss pattern on the back. 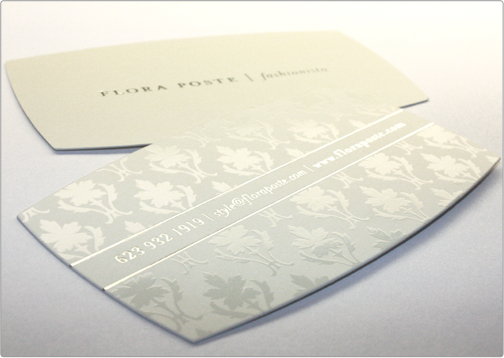 Specs: die cut 16pt silk bc/ spot gloss 1 side/ silver foil 2 sides.